The King Power is half an hour’s walk from the city centre, along the banks of the River Soar. Journey time by foot is roughly the same from Leicester train station, heading south along Waterloo Way and past Welford Road. If walking isn’t an option, bus is the best method of transport. See the public transport section for more. The station is located at London Road, Leicester LE2 0QB; 25 mins’ walk from the ground. Directions to ground: Head southeast on London Rd; turn left onto Waterloo Way, following it for half a mile. Turn right onto Aylestone Walk, and left onto Aylestone Road. Then turn right onto Brazil Street, left onto Burnmoor Street, and then right onto Raw Dykes Road. Turning left onto Filbert Way, you’ll then see the stadium. 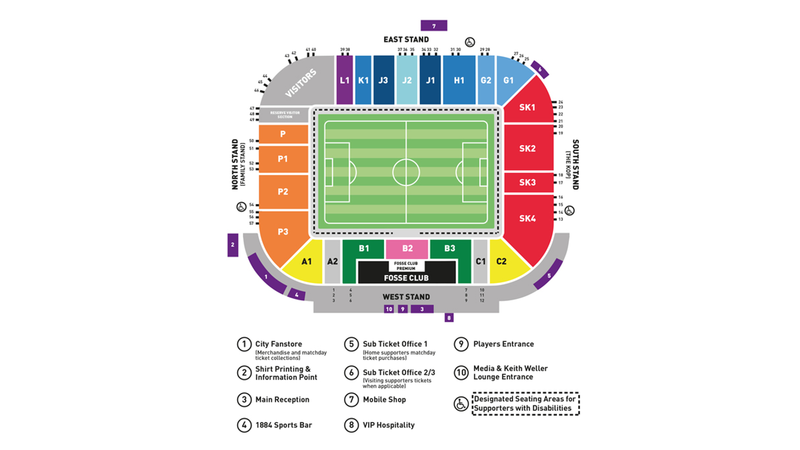 Buses 47, 47A, 84 and 85 will take you near to the stadium. You should aim to stop at Aylestone, outside Freemen's Common, and walk the rest of the way from there. The route is signposted. The King Power Stadium lies south of Leicester City Centre, connected by Raw Dykes Road and the Eastern/Western Boulevard. Welford Road (A594) also runs from the city centre close to the ground, passing Leicester Royal Infirmary and Leicester Tigers Rugby Club. The western side of the stadium lies on the banks of the River Soar. Raw Dykes Road runs east-to-west in front of the stadium, meeting Burmoor Street at the roundabout nearby. There is a Holiday Inn Express directly next to the stadium. No on-site parking is available for away fans on matchdays. Car Parking is available at the Filbert Street car park on a match by match basis for £16 per space. Spaces should be pre-booked before 12pm on the day before the matchday by calling the City Sales Centre on 0344 815 5000 (option 1) or by visiting the City Fanstore at the Stadium. The parking on Freemans Common Business Park is on individual business car parks. The parks are run in aid of the Multiple Sclerosis (MS!) Therapy Centre. Parking is £3 or £4 depending on the location and all proceeds go to the charity. Further parking is available in the City Centre, signposted on the approach roads. 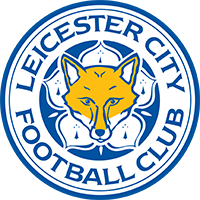 Leicester City moved to the King Power Stadium in 2002 after 111 years at Filbert Street. The new ground was opened by former Leicester and England striker Gary Lineker, with the first match played against Athletic Club de Bilbao on 23 July 2002.